An entirely preventable condition called rheumatic heart disease is leaving Indigenous children with severe and irreversible heart damage. Feature story by Melissa Davey. No child should bear the scars of open-heart surgery. It is a procedure most often associated with old age, to treat conditions such as coronary heart disease or abnormal heart rhythms. But in rural and remote Indigenous communities throughout Australia, and particularly in the Northern Territory, it is not uncommon to see children as young as seven carrying the long scars of open-heart surgery running vertically down their chest. Some of these children and teenagers have endured the surgeries up to four times in their short lifetimes. “These scars are an indication that the health system has failed,” Dr Bo Remenyi, a paediatric cardiologist based in Darwin, tells Guardian Australia. Remenyi is talking about an entirely preventable condition called rheumatic heart disease (RHD), which is only found in the most disadvantaged areas of developing countries such as Africa, the Middle East and central and south Asia. But it is also found in Australia, in remote Indigenous communities plagued by social disadvantage. And, in those communities, it overwhelmingly affects children. RHD is caused by infection with the highly contagious group A streptococcus bacterium, which leads to a condition known commonly as “strep throat”. Most Australian children acquire strep throat at some point but are usually only exposed to the infection once or twice and, when they are, receive fast treatment with antibiotics. But, in disadvantaged communities, where overcrowding and substandard housing is common, children are exposed to group A streptococcus bacterium constantly and often suffer from recurrent bouts of disease. Treatment with antibiotics is often delayed or non-existent due to woeful access to health services. This repeated and prolonged infection and exposure to strep can lead to a condition called acute rheumatic fever, an inflammatory disease that can involve the heart. As the immune system attempts to destroy the streptococcus bacterium, it can also destroy the heart, which contains similar looking proteins to those of the strep bacterium. These attacks can damage the heart’s aortic and mitral valves. Without antibiotic treatment to stop the bouts of acute rheumatic fever, the heart can be left permanently damaged and it is this severe and irreversible heart damage that is known as RHD. Without open-heart surgery to repair or replace the damaged heart valves, proper flow of blood through the heart is diminished, the heart becomes enlarged, clots can form and children are at risk of dropping dead from stroke at any time. But, because it’s a disease of disadvantage, many Australian doctors, nurses and clinicians have never seen a case of acute rheumatic fever or RHD and have no idea how to recognise it, let alone diagnose or treat it. 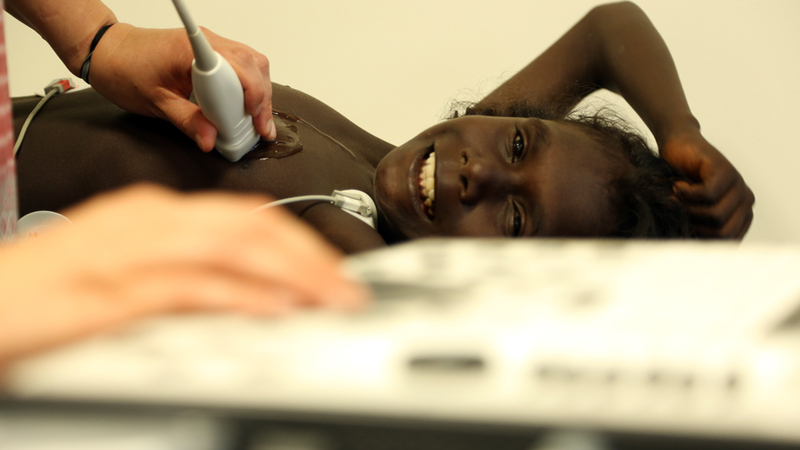 For this reason, Remenyi and other health workers agreed to be featured in a documentary filmed and produced by Melbourne filmmakers Mike Hill and Sue Collins called Take Heart, which follows a group of Indigenous children from the Northern Territory as they grapple with RHD. The film, launched this month, is being screened in Indigenous communities, as well as to politicians and doctors, in the hope that it will lead to better prevention and detection of the devastating – but entirely preventable – disease. Remenyi says there are up to 100 young people each year diagnosed with RHD in Australia who may end up having open-heart surgery. “We’re still seeing too many children getting their chests cut open,” she says. “Imagine if, in Sydney or Melbourne, if we were seeing that many young people were getting referred for open-heart surgery. One of Remenyi’s patients featured in the documentary is Carlisa, from Katherine in the Northern Territory, a regional centre about 300km south of Darwin. By the age of just 16, Carlisa had already undergone four open-heart surgeries, the last of which was a mechanical heart valve replacement. The previous surgeries were all attempts to repair, rather than replace, her damaged valve, because doctors try to avoid subjecting children to the punishing and lifelong treatment regime that total valve replacement requires. Once an Indigenous child has acute rheumatic fever, they require painful injections with penicillin every 28 days for 10 years, or until they turn 25 – whichever comes first – in a bid to prevent the development of RHD and fight their continuous exposure to strep. Many children fail to keep up with this intensive regime and missing an injection by even one day can lead to another fever attack, increasing the risk of damage to the heart and of acquiring RHD. For many children with acute rheumatic fever, due to their living circumstances, RHD is inevitable. But once a child has undergone surgery to replace a heart valve they will have to remain on the penicillin injections every 28 days for the rest of their lives, as well as a daily tablet of warfarin, a blood thinner, also for the rest of their lives. For this reason, surgeons try to avoid valve replacement for as long as possible, with initial surgeries attempting to repair rather than replace the damaged valves. After valve replacement, many children struggle to keep up with the painful and burdensome medication regime required of them. Remenyi tells Guardian Australia that, because of this failure to adhere to their medication regime, the average lifespan for a child after heart valve replacement surgery is just 10 years. In Carlisa’s case, her initial three heart repairs had gone well. She was sticking to her monthly penicillin injections and understood the consequences of missing a shot. She left the Northern Territory to study at a boarding school in Adelaide and was coping with her condition. But then her mother died of RHD. Carlisa flew back to her community in Katherine for the funeral and almost immediately suffered a bout of acute rheumatic fever. It was so severe she needed emergency air evacuation to Darwin hospital, where Remenyi sat by her bedside. 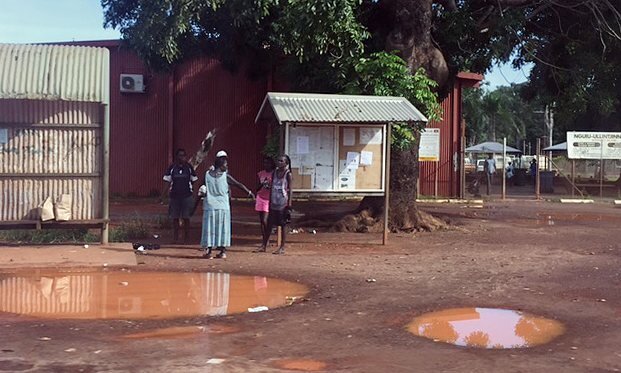 “She was there all by herself in Darwin because all her family members were still at her mum’s funeral and I just remember her literally screaming every night out of fear, screaming that she didn’t want to die,” Remenyi said. “ She had this acute fear of death. Remenyi referred Carlisa to the Royal Children’s hospital in Melbourne, one of few hospitals around the world able to carry out valve replacements and repairs, given Australian surgeons aren’t commonly trained in performing surgery for a condition only found in the developing world. By this stage, Carlisa was so unwell and her heart so damaged that valve replacement was her only option. “She was a minor so she had to go to Melbourne with an adult and, with everyone else at her mum’s funeral, her cousin’s sister was the only person available to accompany her,” Remenyi said. Carlisa is currently at high risk of dropping dead at any time, Remenyi said. She is now 16 and, with few close adult family members still alive, she has increasingly begun missing her penicillin injections. As she is no longer a minor, she can’t be forced to attend a clinic. Despite what she knows about the likelihood of someone like Carlisa making it through to adulthood, Remenyi refuses to give up on her. “We just have to support her through this rough time, we just have to get her through these couple of tough teenage years,” she says. 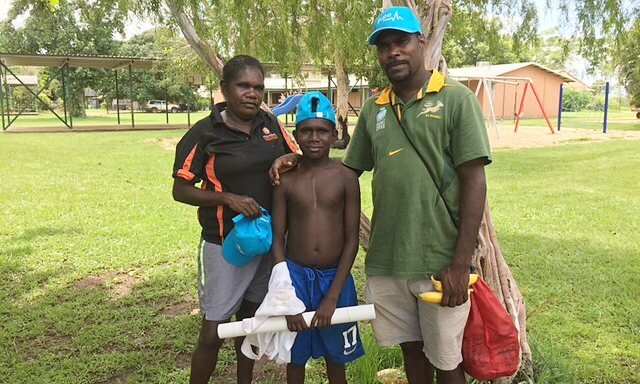 The bond Remenyi has with her patients and their parents is evident on a trip to the Tiwi Islands. She and the national medical director for Bupa Australia and New Zealand, Dr Robert Grenfell, along with community health nurses and researchers from the Menzies school of health research in Darwin, are planning to use the biggest event on the Islands’ annual calendar to raise awareness about RHD. 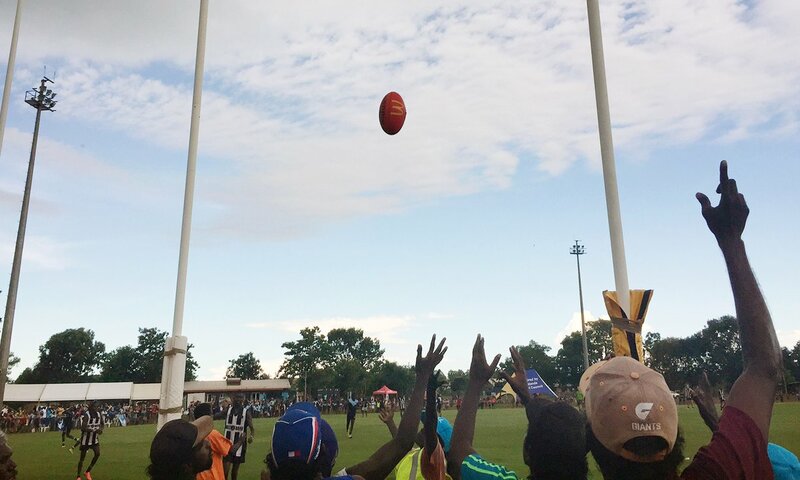 The annual Tiwi Islands AFL grand final on Bathurst Island, about 80km north of Darwin, attracts thousands of Islanders. The grassroots event on 20 March is the perfect opportunity to hand out fliers about RHD and to hold screenings of the Take Heart documentary. Throughout the day, people wander up to Remenyi, greeting her with smiles and hugs. They are her former patients, and they are everywhere. Andrea Cunningham, whose 10-year-old son, Trenton, was a patient of Remenyi’s when he was just six years old, proudly tells Remenyi how her son can now play all four quarters of AFL. Prior to his surgery, he was too ill to play, she said. “I have nicknamed this disease ‘the national disgrace’”, Grenfell says after a screening of Take Heart held in a school library before the game. About 30 children and their parents gathered and watched the documentary intently, recognising in the children featured the disease that had afflicted their loved ones or themselves. According to the Menzies school of health research, Australia has one of the highest rates of acute rheumatic fever and RHD in the world. 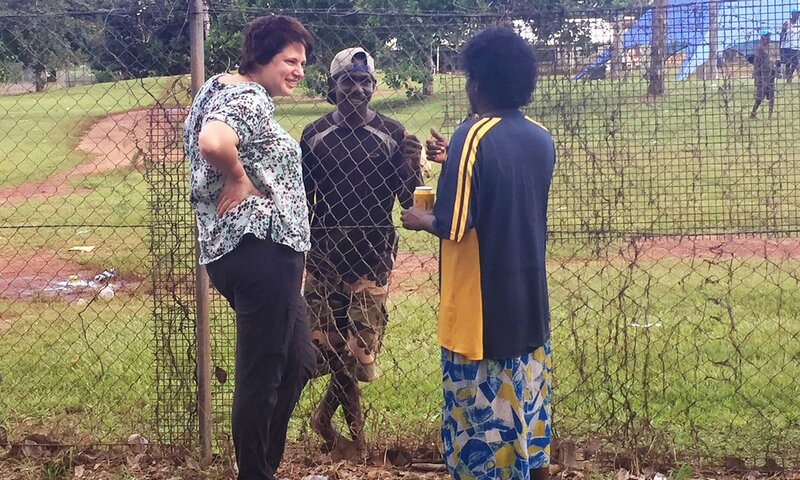 Indigenous people are up to eight times more likely than other groups to be hospitalised and nearly 20 times as likely to die from RHD. 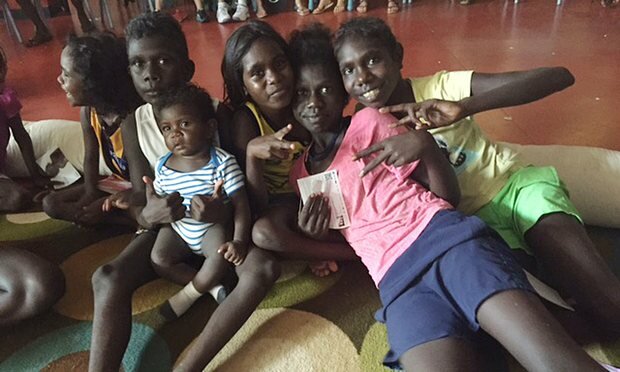 A Menzies study published in the Medical Journal of Australia in September found the prevalence of RHD in Indigenous children living in the Northern Territory is two to three times higher than that of children living in remote central Australia, far north Queensland (including the Torres Strait) and the Kimberley region of Western Australia. RHD was now affecting at least 15 children per 1,000 in the Northern Territory, though this was likely to be a “significant underestimate”, the study found. While scientists are working hard to produce a vaccine for strep, which Grenfell says would no doubt be a significant step forward, he says a vaccine would do nothing to address the poor living conditions, including extreme overcrowding, that most Indigenous Australians living in remote communities endure. “There has been continually improved healthcare and access to that healthcare, improvements to housing, living conditions and sanitation across Australia, which is why RHD was virtually eliminated in the general population by the 60s” Grenfell says. “But Indigenous communities haven’t enjoyed those same improvements in living standards. On top of that, education and awareness of strep and early symptoms of strep throat needs to happen within these communities, because they don’t understand why this is happening to them either. New Zealand has also grappled with RHD in its Indigenous Maori and Islander populations and has responded with a comprehensive public health program. Community health workers visit schools and take swabs of childrens’ throats looking for strep and educate children about the importance of seeing a doctor if their throats are sore, or if they have skin conditions which are also prone to strep infections. The New Zealand government also runs a RHD prevention program under which children at risk of the disease have their homes assessed by health workers and checked for overcrowding. Families are then given advice about how to alter their living arrangements to protect against RHD – for example, by improving ventilation and insulation. If alterations to the home and living conditions aren’t possible, they are fast-tracked for more appropriate social housing. “There’s no reason why a similar program wouldn’t see benefits for RHD here in Australia,” Grenfell says. He says that people were so outraged after seeing a screening of the film in Melbourne earlier this month that they told him they would immediately be writing to the federal government to demand something be done. Hill hopes his film will help educate not only politicians who control health funding but also Indigenous communities about the pernicious disease afflicting them. When he and Collins decided to take the issue on and began to travel into remote communties to find families willing to share their stories and be filmed, he was struck by how many health messages Indigenous Australians had to make sense of. Plastered to the walls of health clinics and classrooms were hundreds of posters and pamphlets about smoking, drinking, ear and eye infections, hand-washing, dental check-ups, diet and exercise. “We realised we needed a way to cut through all of that white noise,” Hill says. “We known that Indigenous people connect with and relate to storytelling, which is why we thought film would be a strong medium for us to use, and we have complemented this film by also producing shorter films and educational materials tailored to different audiences. The resulting documentary is heartbreaking. The father of six year-old Brooklyn, James Gurruwiwi, is filmed talking to Remenyi at his daughter’s hospital bedside, terrified by his daughter’s severe rheumatic fever and blaming himself. “Sometimes I think to myself, ‘Did I do the wrong thing?’,” he says. Remenyi reassures him that nothing he did could have caused the disease. Later, Gurruwiwi describes how, despite the extreme pain Brooklyn suffers every time she receives an antibiotic injection, he has to force her to receive them in order to keep her alive. It is a fate most other Australian children her age will never have to consider. Listen to the accompanying Podcast.